The Script are a soft rock band from Dublin, Ireland. Based in London after signing to Sony Label Group imprint Phonogenic, the band released their self-entitled debut album in August 2008. Their music has been featured in video games and the popular programmes 90210, Ghost Whisperer, The Hills, Waterloo Road, Eastenders and The Vampire Diaries. "Live Like We're Dying" is a song by American recording artist Kris Allen. The song serves as the lead single from his self-titled major label debut album. 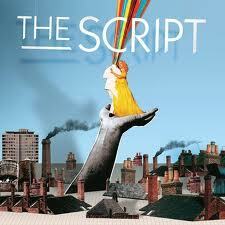 The song was originally recorded by Irish pop band The Script as a bonus track and B-side in select territories on their self titled debut album. It was written by Mark Sheehan and Danny O'Donoghue of The Script, as well as Andrew Frampton and Steve Kipner, who also produced the song. It was released for digital download on September 21, 2009. And if my plane fell out of the skies, who would I call with my last goodbye?